I have only been a mom for two weeks and my little one decides to throw me the “I have a runny nose, AND I am a newborn” challenge! So I did what any new mother would do and go online to find information! “Google It” ! The information I got was good. It was basic, but good. The down side was that since he is a newborn that all we can really do is just wait it out! Wait 7-10 days! A whole week of the sniffles!! !I have no idea how thats gonna happen! You can purchase or make your own to apply in the babys nose to remove some mucus. Use a cotton swab with warm water to clean around the baby’s nose. Lay the baby across your knee’s and gently pat with cupped hand. You want to loosen the mucus in the chest. A cool-mist vaporizer or humidifier in your baby’s room to add moisture to the air.Clean the machine regularly so mold doesn’t grow inside! Not every stuffy, runny nose needs treatment. If it’s not bothering your baby, you don’t have to do anything. As long as your little one is active and eats and drinks normally, it’s fine to wait and watch. NOW all of that is great and all but I needed something else, so I asked my midwife and she gave me some awesome idea’s that actually worked! It’s all a natural way to heal, so it didn’t happen over night.But today is day three and he is breathing a lot better through his mini nostrils. In your humidifier or in a diffuser. Just make sure you have pure oil! If you do not have either of the machines then you can bring the baby into the bathroom with you when you shower/bath and drop some oil in the tub. It will help your mini me breath! Place the oil on his earlobes, chest and bottom of his feet. Use pure oil. I thought the oil would be too strong so I used a carrier oil and diluted it before I applied it on the baby. 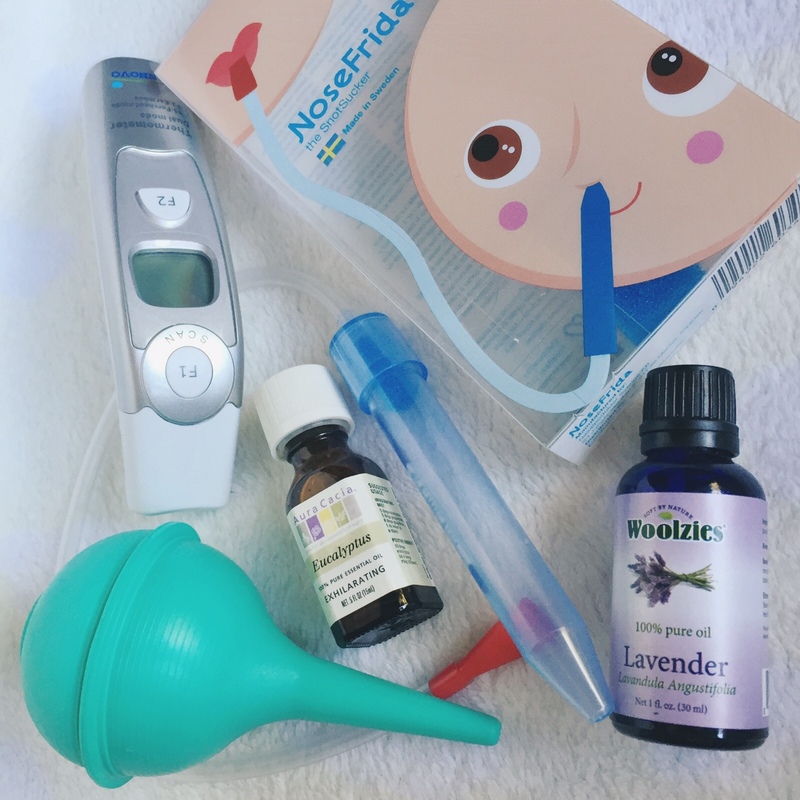 This is something you don’t want to over do because it might irritate the nose, but using a Nose Frida (or even a nasal aspirator) before the baby breast feeds or right before bed will help them breath a little easier. No need for saline, you have something better. Your breast milk is an amazing miracle liquid in so many ways! Adding little drops of breast milk in your baby’s nose will help. Try squeezing a few drops of breast milk into his nose to loosen congestion; some experts say that the milk’s antimicrobial properties can help. Because it’s so hard to breath, try keeping him in a car seat, in your sling in an upright or angled position or when you lay him down to use a wedge to incline the mattress. The incline helps the mucus to drain better down the throat and avoid sticking around inside the nasal cavities. Good Luck mama’s! Hang in there!! Your newborn will be better in no time!